These are the rubbish-strewn rooms where thebombers behind the 7/7 attacks plotted death and destruction. 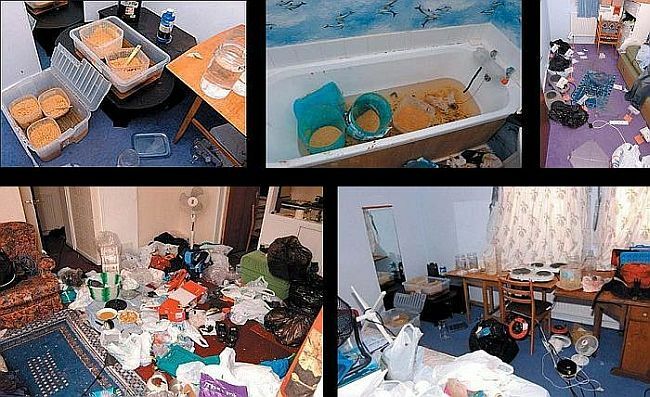 Hidden by ragged net curtains in an ordinary-looking ground-floor council flat they used everyday household objects to mix chemicals and concoct deadly explosives. The sinister secrets of 18 Alexandra Grove, Leeds, were revealed for the first time yesterday at the inquest into the London suicide attacks that killed 52 in July 2005. Officers from Scotland Yard’s anti-terror branch raided the flat five days after the bombings and found plastic tubs filled with a yellowish- brown sludge of hydrogen peroxide mixed with pepper. 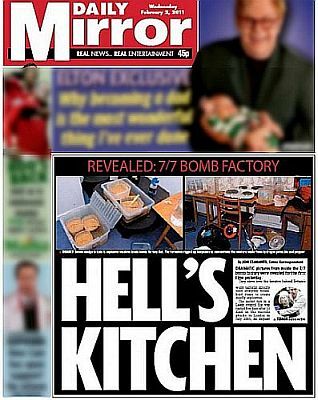 Milk pans Mohammed Sidique Khan, Shezhad Tanweer and Hasib Hussein used to boil chemicals were still on the kitchen hob. 7/7 Inquest: Examining and documenting the proceedings of the Coroner's Inquest into the London Bombings of 7 July 2005, including analysis of the hearing transcripts and the evidence presented. A new film on the 2005 London bombings: "Seeds of Deconstruction"